Microwave heating is a phenomenon discovered during the research on radar systems during World War II. The first industrial use of microwave processing was in the food industry. Although considerable research and development took place in the 1950s and 1960s to develop other industrial applications, few emerged. Interest in microwaves increased in the 1980s as a way to raise productivity and reduce costs. There are currently many successful applications of microwave processing in a variety of industries, including food, rubber, pharmaceuticals, polymers, textiles and metallurgy. Microwave refers to the portion of the electromagnetic spectrum between 300 MHz and 300 GHz. To avoid conflict with communications equipment, several frequency bands have been set aside for industrial microwave processing. 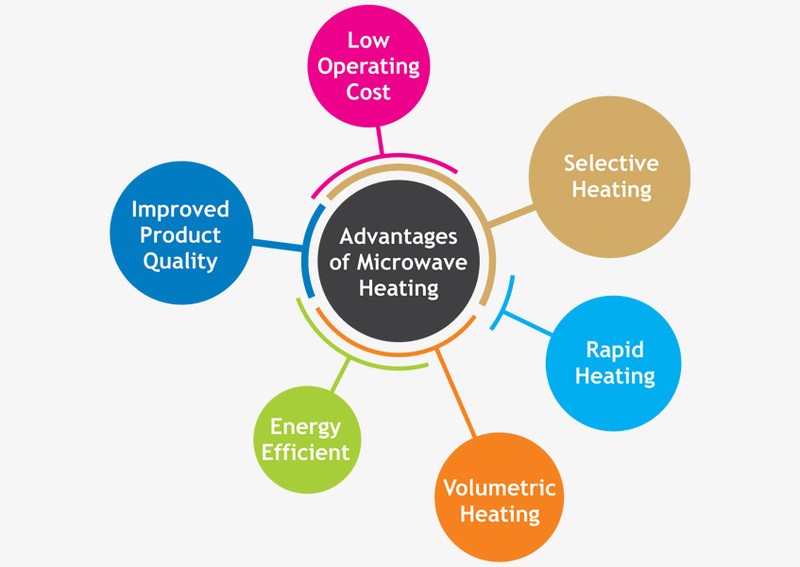 Traditionally Microwaves are used to heat materials that are electrically non-conducting (dielectrics) and composed of polar molecules. Polar molecules /domains have an asymmetric structure and align themselves to an imposed electric field. When the direction of the field is rapidly alternated, the molecules /domains move in synchronization producing heat in the material. However in recent years, other aspects of microwave interaction with materials has been exploited to extend the microwave processing arena for applications that were once thought to be impossible like Powder Metallurgy. In this case the magnetic dipole movement and hysterisys losses leading to generation of heat is the dominant method of heating. The effect of eddy current losses also contributes significantly in such cases where the processed materials are electrically conductive. The ongoing research in this area is ever expanding the horizon of microwave processing applications. 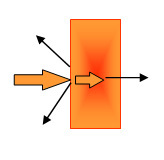 When materials are exposed to microwave radiation, microwaves partially get Reflected (R), Absorbed (A) or Transmitted (T) depending on the dielectric properties of the material – Permittivity (ɛ) and Permeability (μ); which is a function of chemical composition, phase and temperature of the material. The absorbed portion of the incident microwaves, heats the material by polarization of the atomic / molecular structure or through dipole movement. As the microwaves travel through the material, it gets attenuated, resulting in volumetric heating. Microwaves are generated by magnetron tubes, which are composed of a rod-shaped cathode surrounded by a cylindrical anode. Electrons flow from the cathode to the anode, creating an electric and magnetic field. The field frequency is a function of the dimension of the slots and cavities in the magnetron. Oscillations in the slots and cavities form microwaves, which are then radiated out through an antenna projecting out of the cathode space. 1. Generator. This consists of a magnetron, power supply and a waveguide assembly to carry the waves. Magnetron is typically water or air-cooled and is a consummable component. 2. Applicator. This is the processing chamber in which the material is processed. Waveguides direct microwaves to the product being heated in this space. 3. Control System System that monitors, measures, controls and manages the complete heating process. This is usually in the form of a computer, a PLC or an Human Machine Interface (HMI) with touchscreen. 4. Materials Handling System System that positions the product inside the applicator or exposure area. This is usually a conveying arrangement, a rotary table or a trolly system with associated controls to manage material handling into and out of the system. A major advantage of high-temperature microwave systems is their “green” nature. Microwave furnaces generally heat only the objects to be processed, not the furnace walls or atmosphere. Microwaves also have a much higher power density and heat the materials faster. Energy-efficient microwave furnaces produce a substantially smaller carbon footprint, less pollutants, and lower operating and end-product costs. In addition, microwave processing can involve up to 90% shorter processing times and a corresponding decrease of up to 80% in energy consumption when compared with conventional methods for many commercial products. Microwaving also yields improved product quality with finer grain size, higher sintered density, increased corrosion resistance, and greater strength of finished parts. These advantages can be obtained with ceramics, a range of powdered metals (such as titanium, molybdenum and steels), and “hardmetals” like tungsten, tungsten alloys and tungsten carbide. With the realization of not only the technical but also the substantial economic advantages, high and low temperature microwave processing offers the implementation of this new processing method in ceramics and related industries, including advanced ceramic/carbide wear parts, electro-ceramics and bio-ceramics. Talking about advantages of Microwave Processing for other applications like Rice and Grain disinfestation, sterilisation and similar applications, it is well proven that Microwave processing provides several avenues to drastically improve the product quality and considerably increase the shelf life of food grains. Microwaves are fast becoming the preferred means of treating food grains as there is no need of chemical treatments for food grains. Mostly,to discern the best industrial heating unit for you,you need to assess the amount of free space that you have available, the power requirement and various process parameters. With our expertise you will be able to find the optimum industrial heating solution for your need.We have extensive experience surrounding heating systems, and therefore our services range from offering advice, consultancy, manufacturing & supplying to installing and maintaining Turnkey heating projects.